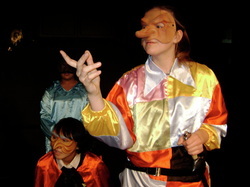 Commedia is art form which uses Stock Characters, Masks and Improvisation. Students are introduced to the Masters - Pantalone and El Dottore and the wonderful Zanni of Arlecchino, Brighella and Columbine. BOOKS - these books are excellent resources - better than the web! !